Brooklyn Nine-Nine’s brilliant casting is at it again! The sitcom, which has been known to bring in fantastic guest-stars such as Bradley Whitford, Dean Winters and Kyra Sedgwick, is bringing another powerhouse to their March 7th episode titled “The Golden Child”. 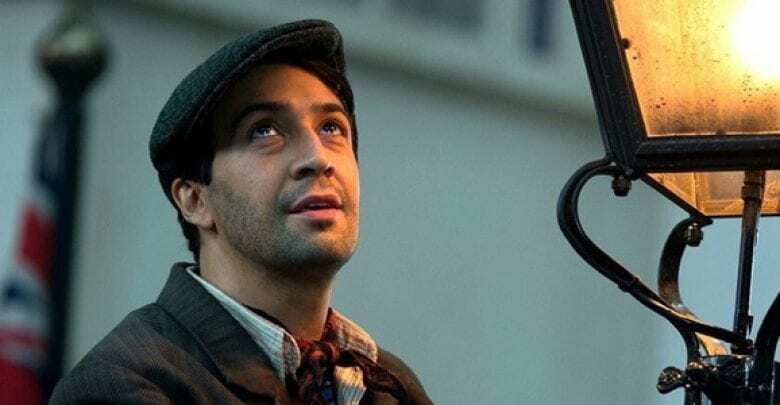 Entertainment Weekly has confirmed that Hamilton and Mary Poppins Returns star Lin-Manuel Miranda will be appearing on the show as Amy’s brother and “rival”, David Santiago. The award-winning actor has quite the history with the once Fox and now NBC sitcom. When Fox abruptly announced that they were canceling Brooklyn Nine-Nine after five seasons, Miranda tweeted his disdain for the decision. He was soon joined by Mark Hamill, Seth Meyers, Guillermo del Toro, and Sean Astin to form the “Guardians of the 99” -who encouraged fans and other celebrities to speak out on social media in hopes of saving the show, which did happen! Don’t worry, Mark Hamill made a poster illustrating their self-proclaimed title. Once the series had been saved by NBC, co-creator Dan Goor told EW that he would love to find a way to get some of the “Guardians” on the show and it seems that he’s found the perfect way to bring Miranda on, seeing that Amy has seven brothers and we haven’t met any of them. Well, promise fulfilled! Are you excited to see Lin-Manuel Miranda come to the Nine-Nine? Be sure to catch his episode “The Golden Child” on NBC on Thursday, March 7th at 9/8c!